This month, we sat down with RVi client Curtis Davidson of Cadence Development to discuss his firm’s unique business model and how they have successfully adjusted their core services to take advantage of the changing real estate market. 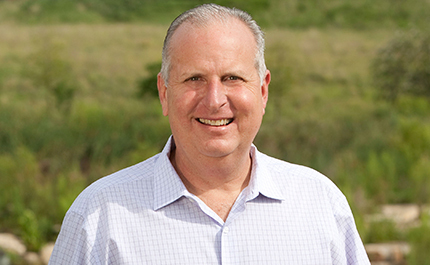 Curtis has led many successful development ventures in Austin and throughout the United States – from the 1,600 acre Belterra Master Planned Community in the Texas Hill Country, to his most recent entry into the nationwide distressed real estate market. Tell us about your own professional background. I graduated from the University of Texas with a degree in Accounting. Right out of school, I went to work for one of the “Big Six” accounting firms – KPMG in Houston. At KPMG, I got some experience in the distressed asset world with the savings and loan issues that were going on in the late 80’s. That was my first professional entry into the real estate world. I worked with KPMG for the next five years. I went to work for homebuilders for about the next 10 years. I had the opportunity to learn all aspects of the business over this period of time. I had multiple positions, from land development to CFO to being the Division President for a national builder. I had the opportunity to move to Austin in 1992. That’s when I really started learning the land development business. In 2000, I had the opportunity to start up a commercial development company. 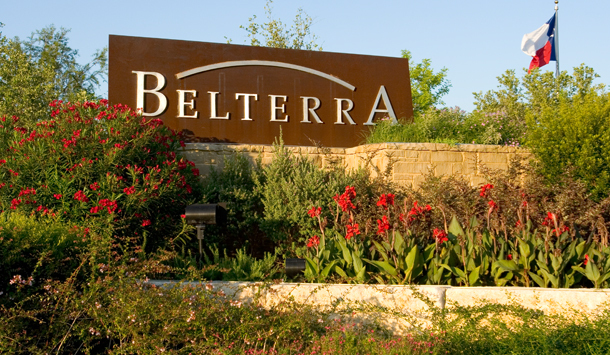 Our first project was a 2,000 unit Master Planned Community called Belterra. This was my first introduction to Chris Crawford and RVI. In 2007, we started Cadence Development. So now you’re a Partner at Cadence Development. Tell us about your firm and what you guys do. Cadence Development was launched in 2007. Our business plan was to do smaller niche developments in Austin and San Antonio. We had good relationships with a lot of the production builders, so we purchased some small tracts of land and jumped into the development business. We were very fortunate that we have seen some success in the development business. With the slowing of the economy we regrouped and focused on what Cadence Development was going to be over the next five years. At that time we saw the single family home housing numbers decreasing and the multi-family sector becoming stronger, so we jumped in that game and brought in a partner with experience in multi-family. That sector has been phenomenal. At the time we also looked at our partners’ experiences. Each of us have over 25 years of experience in real estate and have been through a down cycle before. We saw this cycle as an opportunity and we started focusing on distressed assets. We jumped in the game early and started up relationships with a lot of conduits for large banks and servicing companies. We have now morphed into a company that has 3 business units – we still do our community development, we have a multi-family division, and we also run a very small private equity fund that invests in distressed assets. Cadence Development has been successful in part because of the flexibility you have in re-inventing yourself to suit the current real estate market. A lot of large firms can’t do that kind of thing as easily. Can you speak to how the size of your firm allows you to shift your focus as the market changes? We have kept it small for exactly that reason. We have been very successful in keeping the Company small. Instead of bringing accounting, design, and marketing in house, we hire a lot of third party firms to help us do what we need to get done. For example, we don’t manage our own properties – we hire people who are really good at it. It allows us to do what we do well – understand the real estate market, look for opportunities, and interface with our capital partners more. Elaborate on the process of what you do. First of all, our land development and multi-family follows a very traditional process. For land development and multi-family, we keep our market small – we stick to the Central Texas area. We look for high demand areas, great pieces of land, and put together investment packages that make sense. We take them to our investors and we’re off and running. The distressed assets sector is very different. There are a lot of distressed assets across the U.S. today. We spend a lot of time looking for just the right project. We don’t really limit ourselves geographically, which means we spend a lot of time studying different markets. For example, if we’re looking in Greenville, South Carolina, we’ll meet with experts there and try to understand the market. We almost always partner with someone in these other markets that are experts in the real estate field. We primarily buy distressed notes from banks. We always try to sit down with the current borrower to see if there’s an opportunity to work it out to keep them in the project. If not, we try doing what we call a “friendly foreclosure” process, where the borrower is not fighting us. From that point, we take on the management of that project. We hire someone in the local market to manage the process of bringing it back to market. Our process is to take over a project, rehabilitate it if necessary, and re-position. Most projects have a high level of deferred maintenance on the projects because the borrower didn’t have the appropriate cash flow. We bring the property back to good working condition, then we bring in new tenants and take it back to the market. Where are your capital partners from? Do they expect certain returns? All of the Cadence partners have really strong relationships with large capital groups on the East coast and West coast from our past experiences. In working for large firms in the past, that was traditionally where our money came from to fund our projects You would think that’s where our money comes from. But actually, 100% of our capital partners are from Texas right now. That says something about our firm – we have really deep roots in Texas, and have really good relationships with some strong capital groups in Texas. When we look at a potential project, the first people we go to are the people we’ve done business with here in Texas. Up to this point in time, we’ve not had to go outside this group. Right now there’s enough money in Texas that if you have a track record of success, you have the opportunity to do more business. They do expect certain returns, and no two investors are the same. Obviously in the distressed asset world, you’re out buying distressed notes and that’s a very high-risk business. Our investors in that business expect higher returns and we have been very fortunate to be able to deliver. What makes your capital partners trust you with their money? What is your sales pitch? Integrity and communication are the keys to creating trust with our capital partners. That’s something we’ve improved on since starting Cadence – our communication with investors. Whether it’s good news or bad news – communicating with our investors on a regular basis is very important. What makes an attractive investment for Cadence Development? No two investments are the same within our distressed fund right now. It really comes down to the knowledge within our group. We probably review over $1 Billion in distressed loans every month. To find the one that fits our criteria is a process that takes a lot of time. We have to understand the geographic market to some degree, there has to be a story about why the note is distressed and a clear strategy to repositioning the asset in a short period of time. We are evaluating a good number of community development opportunities for the first time in quite a while. The success of these opportunities is demand driven. How are you even aware of the distressed assets so that you have $1 Billion to review? We were in the distressed game early and have a great track record of closing deals in a very short time frame. This history puts us on the top of top of any sellers list. We have worked hard on creating positive relationships with a large number of banks and special servicing groups across the country. When looking at these distressed assets, you’re looking for the potential to make money on the note, right? We buy the note with the understanding that there is a high probability that we will eventually own the real estate. We’d love to go out and buy the note and immediately sell it for a profit. That’s not usually the case. The process is that you buy it, go through the foreclosure process, put money in the property to reposition the asset, find new tenants, and then sell it to make a profit. We’re looking for assets that have good basic building blocks. We buy the asset knowing we’ll have to spend some a large amount of money to make a profit. The life cycle of assets in our fund is in the neighborhood of two years. I am sure there are some groups that are flipping notes quickly, that’s not our business model. You said that you don’t limit yourself geographically when dealing in the distressed asset market. It seems like once you’ve done your research on a certain market, it would be tempting to concentrate on that market and avoid the cost of researching another market. Is that so? We’d love to do multiple deals in the same geographic area, and we actually have done that in Illinois. We have purchased and sold several large office complexes in Illinois. Through working with the local real estate experts we always have the opportunity to look at other distressed deals in the market. We recently bought another large office portfolio in Chicago. There is some overlap, but we wish there was more. We do tend to look at opportunities in the markets we’re already in, but we have to go where the distressed notes are selling for a reasonable discount. We also try to look for improving markets – we’ve gotten into some markets that are now coming back. There are definitely certain areas we avoid because we don’t see the bottom in those markets yet. What current deal/investment is the most exciting for you? The most exciting project in our firm right now is a 150 unit senior living project here in Austin, Texas. There’s such a high demand for Senior Independent Living across the country, we are excited to get this one up and running. This is a strategically located project that we’re trying to bring to the market at affordable rental prices for senior independent living. We should go vertical on the project in the next 60 days, after processing the job and lining up financing for the last 12 months. We’re seeing a trend in the way our clients are changing. Our new clients are individuals such as yourself, who once worked for large companies and have left to start on their own. They focus on niche areas. They have huge intellectual capital and are using it to do big projects. What are your thoughts on this trend? It’s interesting. There is a group of people who were forced into thinking on their feet and starting their own companies just because of the reduction of workforce in the real estate business. But I think the real estate business attracts survivalists. A lot of people sit down and take stock of what they know – their intellectual capital. Then they decide how to take advantages of the opportunities presented to them. This is a time of great opportunity in the real estate market – whether through distressed real estate, multi-family, or other areas. Our original business plan was to develop smaller single family communities in Central Texas. We’re still successful in that arena, but not enough to make a living for all the people in our firm. So we sat down and asked ourselves: what do we know? My background was in looking at distressed assets in the savings and loan business That’s what led us to buying distressed real estate. What is on the horizon for Cadence Development? We’ve changed quite a bit over the past couple of years. We’ve talked about it a lot – you can be too diverse. We feel like we’re very diverse with three business units. We’re tempted all the time by other opportunities, but feel that it is very important for us to stay focused on those three core businesses. We’re coming up on our 5th anniversary this year. Our focus right now is to be better at what we are doing in our three business units – to improve them every day. We see a lot of opportunities in smaller community development and multi-family – right now we have a pipeline of over 1000 multi-family units that will start over the next 12 months. In the distressed asset market, we’ll continue to see them for probably 5 years down the road. We’re very focused on those three core areas right now. RVi first worked with you on the Belterra Master Planned Community. 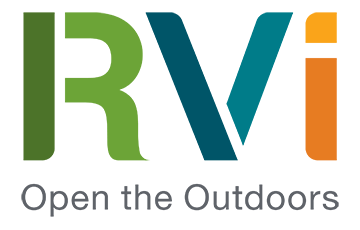 Tell us a little about why you work with RVi and what RVi brings to your projects. Belterra was my first large-scale residential project. In hindsight, putting together the right team on a project of that scale is critical. That’s when I first met Chris Crawford. I had an idea and a piece of land. I was looking for a group of people who could help take my vision and help me make it a reality. People talk about your consultants being your partners, and there’s a lot of truth to that. Chris was in from the beginning, helping us brand what Belterra was going to be. My weakness was in understanding the overall concept and depth of a master planned community and how much effort it takes to put the details into those communities so you have long term success. RVi has done a great job – there are so many things at Belterra that were a result of RVi. For instance, we used higher-end materials on guardrails, entry features – and it’s something you see when you drive through. Subconsciously, you pick up on the consistency. From the street signs to the stone – the consumer notices all these small details, but I don’t know if they’re consciously aware of it. When you’re talking about a 1,600 acre community – that’s a lot of detail. It’s been a great partnership. We’ve worked together on other projects since then, and I frequently use Chris as a sounding board. We look at a lot of projects and Chris is always someone I call, I know I will get straightforward feedback. 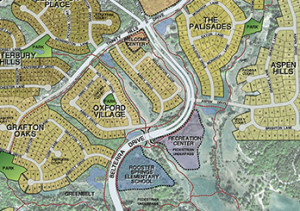 For more information on RVi’s master planned communities, contact Chris Crawford at ccrawford@rviplanning.com.